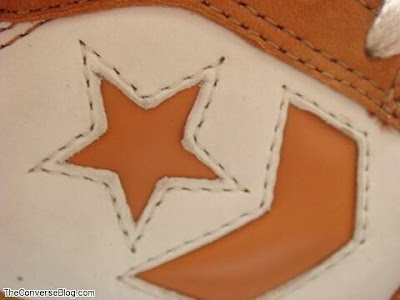 Recently rumors have been flooding in that Converse has started up their Skate Team again. The rumors suggest that so far Kenny Anderson has returned to Converse along with Anthony Pappalardo, Alex Olson, Raymond Molinar. 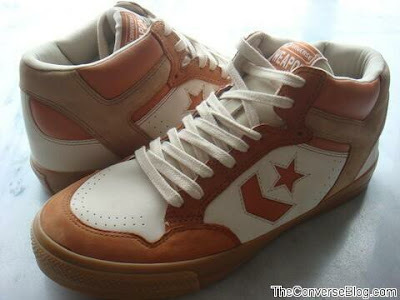 I remember the first time Converse tried out having a skate team, and there were some really amazing shoes to come out in that time. Skate shoes with React 2 and Helium even made their way to the market. I have a pair of the Helium shoes named for Chany Jeanguenin that I will profile in a Friday Flashback soon. However, today is Wednesday and Wednesdays are for Weapons. 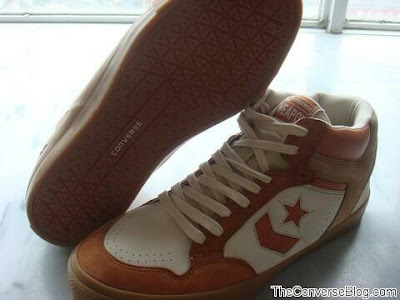 So to continue the theme above here are some better pics of the Converse Weapon Skate. These aren't my pictures, but I can't remember where I found them. But what I do know is that I will be buying a pair of these when they come out. I am really excited about the unique outsole made for these. I really like the touch of having a modified Weapon upper and a Chuck midsole. Today is the last day to vote in the current poll so if you haven't voted please do. Also thank you for checking out the blog, if you have any suggestions or comments please don't hesitate to contact me. 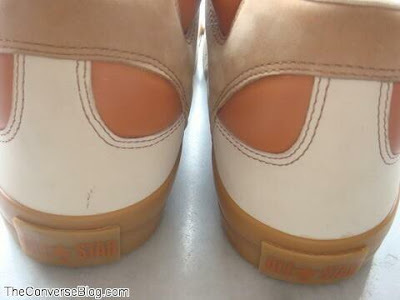 I read your blog on the Converse Weapon Skate and noticed you put SB @ the end of the shoe. 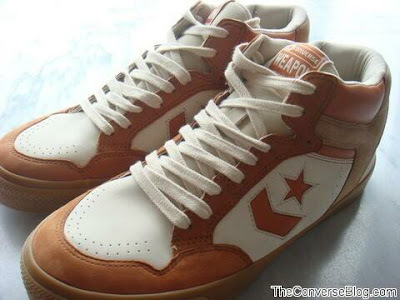 It's not an SB product and should be called simply the Converse Weapon Skate. There is definitely a major deffierence in how you title it. We don't want to give anyone the wrong impression. 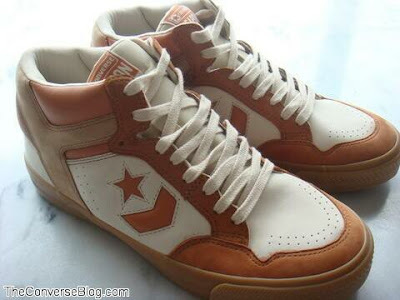 Just stumbled across these on my bi-monthly Converse trawl on Ebay!! I thought they mighta been fakes!! They are cool... and for a Weapon die-hard such as me, "I GOTTA GET ME SUM 'o' THEM!!" Wednesday is for Weapons... I love that!! Just a well I wore my Dwayne Wade Playoff edition Weapon Highs today!! is there an address i can send a demo reel to for converse skateboarding?